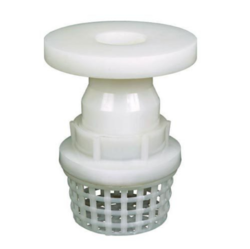 Dimensionally accurate, our range of Plastic Valves like PP ball valves, HDPE ball valves, PP foot valves, PP non return valves etc., is used in various industrial applications. These valves are can be customized as per the specifications of our clients and are in compliance with various industrial standards. High performance is the unique feature of our wide range of PP Ball Valves offered by us are in compliance with various industrial standards and offered at industry leading price. PP Ball Valves Flange End are known to be chemically resistant to most of aggressive chemicals and are much economical as compared to solid PVDF Ball valve and Teflon lined metallic valves. These valves are much light weight and are considered to be a better options compared to G.I. or C. I. Valves. 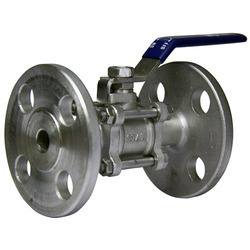 PP Ball Valves Flange End are regularly being used in Chemical industries, Pharmaceutical Industries, Power Plants, Sugar Mills, Salt and Soda Ash Plants, Paper Mills, Swimming Pools, Breweries, Fish Farming, Beverage plants, Water Treatment Plants, E.T.P. etc. High performance is the unique feature of our wide range of PP Ball Screwed End Valves. PP Ball Valves offered by us are in compliance with various industrial standards and offered at industry leading price. PP Ball valves are known to be chemically resistant to most of the aggressive chemicals and are much economical as compared to solid PVDF ball valve and Teflon lined metallic valves. These valves are much lightweight and are considered to be a better option compared to G.I. or C. I. Valves. PP Ball Valves Screwed End are regularly being used in Chemical industries, Pharmaceutical Industries, Power Plants, Sugar Mills, Salt and Soda Ash Plants, Paper Mills, Swimming Pools, Breweries, Fish Farming, Beverage plants, Water Treatment Plants, E.T.P. etc. Customized as per the specifications of our clients, our wide range of HDPE Ball Flanged End Valves is in wide demand across the globe. Procured from reliable vendors spread across the globe, our range is in compliance with various industrial standards. These valves are much light weight and are considered to be a better options compared to G.I. or C. I. Valves. HDPE Ball Valves Flanged End with Three Piece design are regularly being used in Chemical industries, Pharmaceutical Industries, Sugar Mills, Paper Mills, Breweries, Fish Farming, Beverage plants, Water Treatment Plants, E.T.P. etc. We offer PP Non Return Flanged End Valves. Appreciated for outstanding quality, our range of PP Non Return Valves is in wide demand across the globe. These ball valves are appreciated for their pressure resistant ability and high durability. Available in various sizes, thickness and lengths, these are designed as per the ANSI, BS & DIN standards. Distillers and Beverage Plants etc. We have been offering a wide range of PP Foot Valve which is customized as per the specifications of our clients. These are in compliance with various industrial standards and are used in various industrial applications. Our team members design these PP Foot Valves keeping in mind the specifications and requirements of our customers. These products are thoroughly checked and tested by expert quality controllers to ensure flawlessness. We have been offering a wide range of Butterfly Valves which is available in standard as well as customized models. These are in compliance with various industrial standards and are available in large sizes. It is manufactured by using optimum-grade raw material and latest innovative machinery to ensure optimum quality of the final product. Besides this, all our products are available in market at a cost effective price. 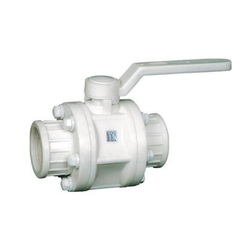 PVC Ball Valve offered are made available by us in PVC-U as well as PVC-C manual and automatic finish forms. These also come with anti-block system that aids in preventing ball jamming. Further, to ensure superior performance action, these valves are also completely hydro tested so as to ensure in them complete performance reliability. Here, our expertise also lies in making these Ball valves available in accordance with standards like Metric, NPT, British Standard, BSP, ASTM, JIS and others. 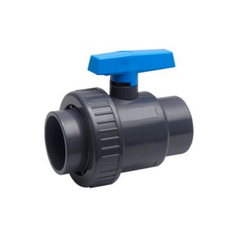 Our firm specializes in providing our prestigious clients with a quality array of Poly Plastic Ball Valves. 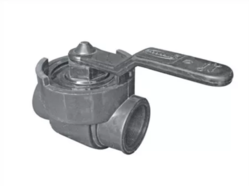 This ball valve is used in situations where tight shut-off is required. The valve gets its name from the ball that rotates to open and close the valve. This ball valve is wide duty valves, able to transfer gases, liquids and liquids with suspended solids. With years of experience in this domain, we have carved a niche for ourselves, in offering PP Ball Valves. 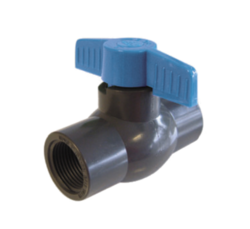 The offered ball valve is a one-way valve that is opened and closed by pressure on a ball which fits into a cup-shaped opening. This ball valve is a form of quarter turn valve that uses a pivoting ball to control flow through it. 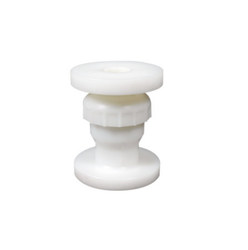 Our ball valve permits inspection and repair of seats and seals without removing the valves' body from the line.